The #1 Paid Sports App in All of Canada! 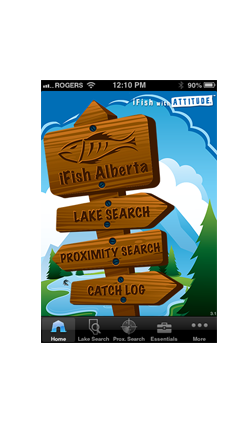 iFish Alberta is the iPhone & Android app every fisherman needs, and the exclusive app for Fishing in Alberta. NEW FEATURE AVAILABLE! Access to Rivers & Streams is now available for purchase on both Android and iOS! Boat Launch Locations & Depth Charts for many lakes! * Rivers & Streams are available as an in-app purchase on both iOS and Android. ** CatchLog & GloveBox features are an in-app purchase, available only on iOS at this time.